ARB Winch Gloves erfect for hand protection. 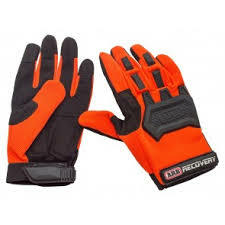 ARB recovery gloves, perfect for hand protection and keeping your hands clean during recovery situations, general work on your vehicle or around the campsite. Providing general protection in a stylish design, these gloves are a perfect addition to the glove box or recovery kit. Using premium synthetic materials to reduce abrasion and wear, as well as increase comfort on your hand, the ARB recovery gloves provide knuckle protection as well as palm protection with molded rubber impact guards. 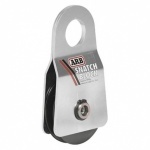 The high abrasion resistant material on the inside palm of the glove works well with wire or synthetic rope winch cables. Added protection to the palm and fingers provide a safe yet good dexterity glove with a firm fitment, reducing pinching hazards. The cuff is embedded with the ARB Recovery logo and touch tape fastener to keep the glove firmly fitted. 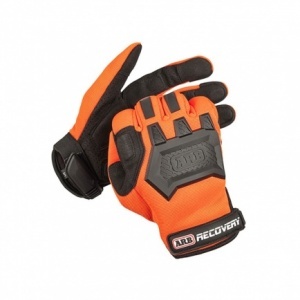 Finished in a breathable microfibre and ARB hi-viz recovery orange (which is great for marshaling or spotting operations), these gloves will complement your already excellent ARB recovery range.